Former Longburn grain elevator at Bloom, MB, May 2014. Contributed by Steve Boyko. 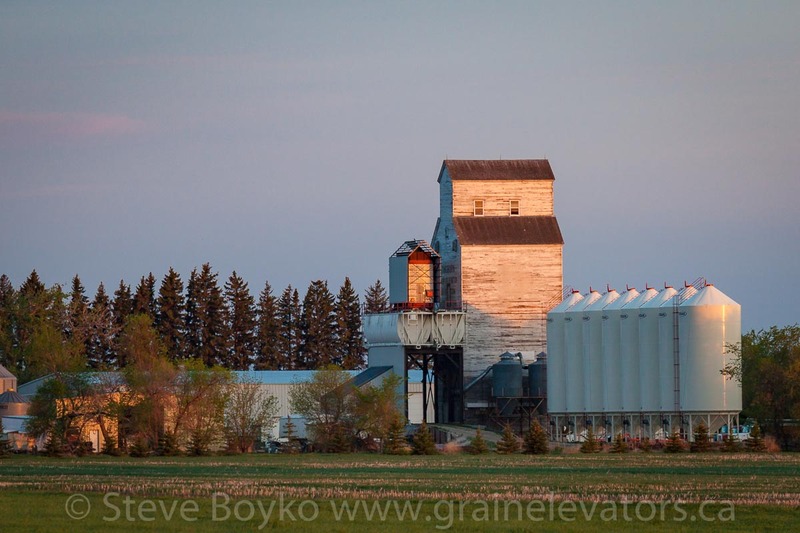 There are two grain elevators at Bloom, a privately-owned wooden elevator and a new G3 concrete elevator completed in 2015. 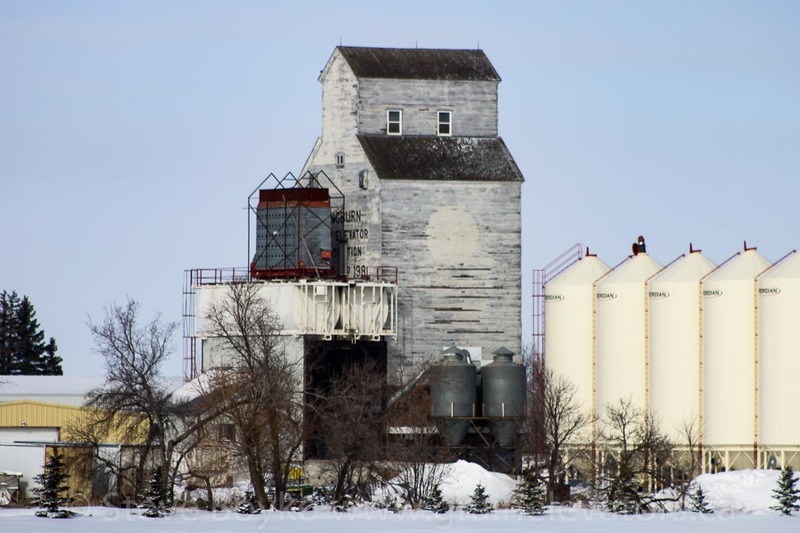 The wooden grain elevator at Bloom, MB, March 2011. Contributed by Steve Boyko. The wooden elevator was originally at Longburn on the CN Oakland subdivision. It was moved to Bloom after the Oakland sub closed in 1980. It is located on a farm and has no rail service. 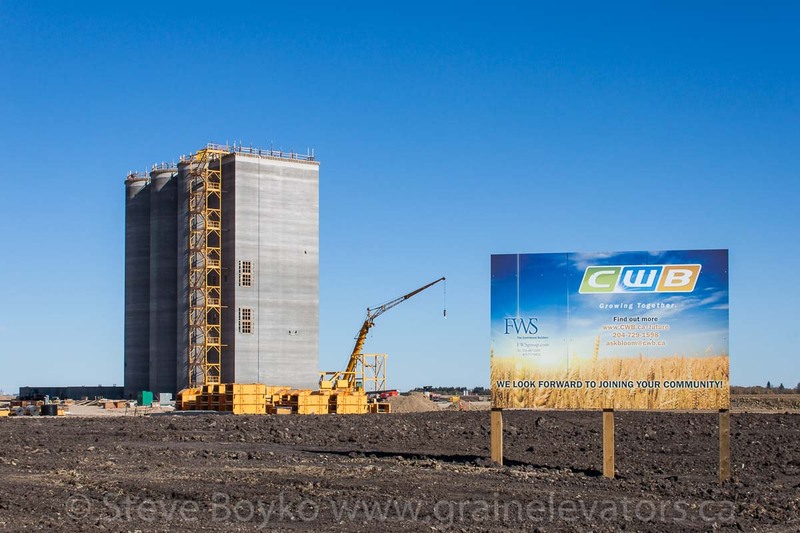 CWB grain elevator under construction at Bloom, MB, Oct 2014. Contributed by Steve Boyko. The Canadian Wheat Board announced the construction of a new elevator at Bloom in March 2014. By October construction was well underway. The elevator has a capacity of 33,900 tonnes of grain with a 134-car loop track connected to the CN Rivers subdivision. It is capable of loading 1,600 tonnes/hour into rail cars. 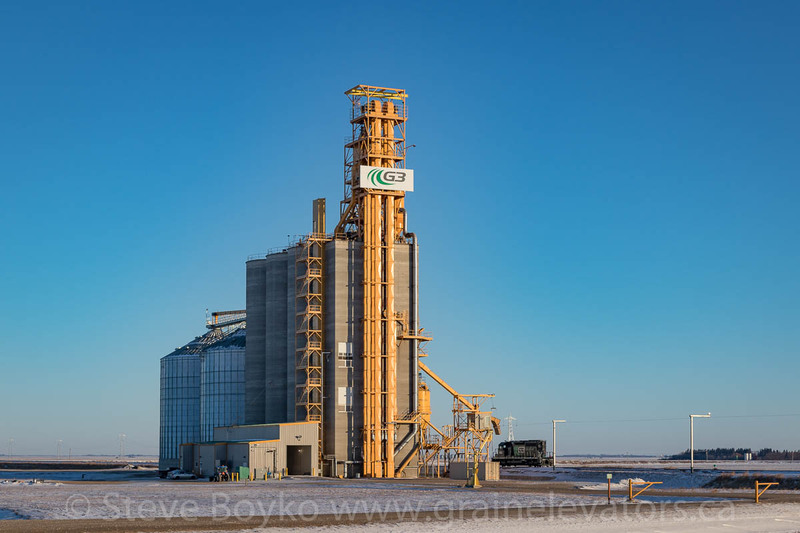 G3 grain elevator at Bloom, MB, Dec 2017. Contributed by Steve Boyko. The connection to CN was made in early June 2015. The CWB became G3 during construction, and the completed elevator is now labeled for G3.